The mattress is consist of three different types of spring coils. The side of the mattress which often sits on is filled with the hard coil. The middle is consist of the slightly harder coil to support the waist, and the rest of the mattress is consist of softer coils. Oversize furniture shipping handling fee: Extra $65 handling fee will be charged for each piece. Limited 1 piece per order. MUJI Mattress/Bed is different from standard U.S. size. Please double check the measurement before purchase. No Express, US Domestic only. Orders will be cancel if an area is not deliverable. Enter your zip code and find out if we deliver this item to you. 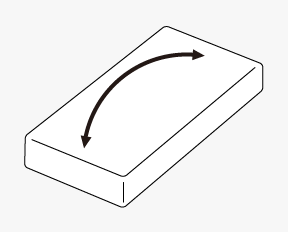 It is recommended to rotate the mattress from head to toe once every other season. By doing so, the weight on the springs will evenly spread out and decrease the chances of wearing off the springs.